By day, the Bakery supplies our Farm Shop and restaurants with freshly baked breads but by night, this space is transformed into a true celebration of La Dolce Vita! 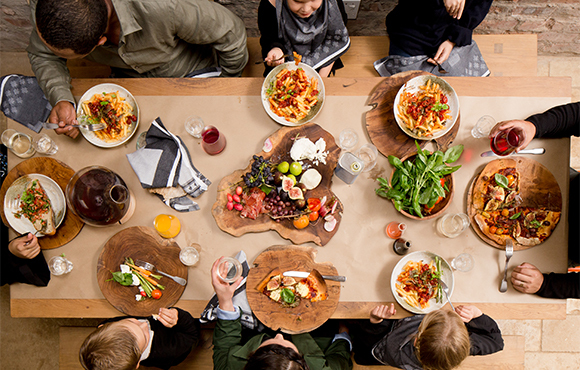 For dinners in the Bakery, we serve our food family style – guests dish up for themselves from wooden boards placed on their table while sipping on wine and enjoying the lively atmosphere. Dinner is served from 19h00 and reservations are essential. 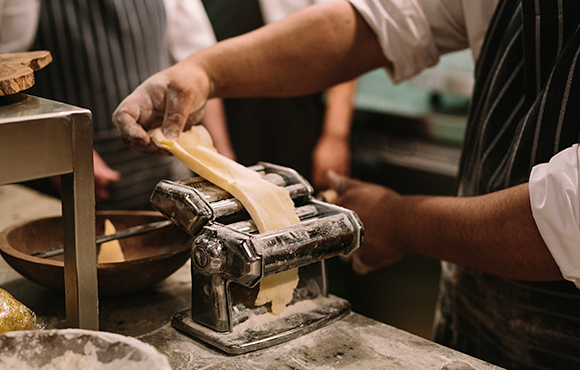 Scrumptious Italian-inspired meals are served in the Bakery on Monday and Friday evenings. The three-course set menu starts with an antipasti and salad offering, followed by wood-fired pizza, to be enjoyed to your heart's content. We round off the meal with a delicious dolce and our famous coffee. R340 per adult and R175 per child. 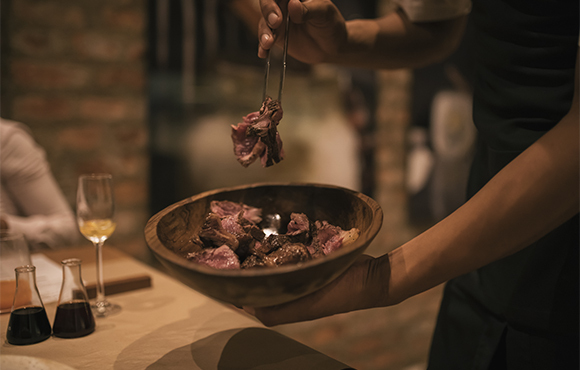 On Wednesdays, join us for a five-course meat evening. The best meat in the world comes from Chianina cattle, an age-old Italian breed. Our herd of Chianina is entirely farm reared and grass fed, and our steaks reach the rarefied levels of the best bistecca fiorentina. With braai masters Jaco and Eddie, we celebrate the best meat in Africa. Enjoy a glass of wine and live accordion music while the coals are glowing. R490 per adult and R175 per child. For groups of 13 to 18 guests, a set menu will be offered and a 50% deposit is required to secure the booking. Cold beverages include homemade cordial, craft beer and the Babylonstoren range of wines. Should you wish to bring a larger group, we have private function venues available.